The best projects are the ones that have a big vision, great impact, tough challenges and stretches everything you have learned to date. 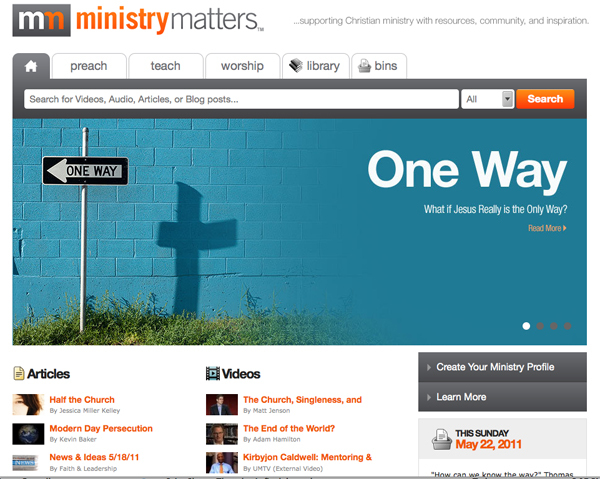 The A Group has recently launched a website that meets all of that criteria and then some: MinistryMatters.com . We developed the user interface as well as the back end system. Ministry Matters started as a vision of Audrey Kidd, COO of The United Methodist Publishing House. Audrey wanted to bring UMPH’s vast collection of reference, scholarly, practical and inspirational content along with blogs, articles, video and audio together in a true community-focused destination. The vision was clear and so were the challenges: how to integrate UMPH’s multiple legacy databases and systems with a dynamic, user-friendly and social media-rich interface. That’s where The A Group comes in. From the site’s name selection, branding, user interface development, back end content management system and finally database integration, our design and programming teams work side-by-side UMPH’s content and IT departments in creating a new destination for Christians who want to research, consume, interact and create content. The site is truly elegant, fresh and rich with a ton of information and yet looks and feels light and simple to navigate. I have loved being part of the branding, and site development and now marketing of MinistryMatters.com. It’s not often we get to be such an integral part of a project. You need to jump over and spend time there. It’s worth it. And as you do, check out the “Bins.” They are perhaps my favorite feature so far. You can set up a public or private study bin and put all your assets for a message, lesson or just personal study in them. You can see other public bins from authors, pastors or friends who make them available to the community. Bins can also be private, so you choose to share them with only certain people. MinistryMatters.com is truly a work of vision and collaboration. I’m thankful for partners like Audrey and her team that allow us to become better at what we do, and in the process, create something truly useful for the entire Christian community. What’s the most fun project you have ever worked on? Love this site Maurilio… ease/logicalness of navigation is fantastic, video is front & center and Youtube is integrated beautifully. Love your art M! As a media producer, you should win Oscar for ‘Best Director” on this one! Thank you so much for your kind words, Barry. And I humbly accepted this Oscar. great site!! also love the bins! very easy to use. Glad you like it, Chris. Hope you get to use it. Hey . 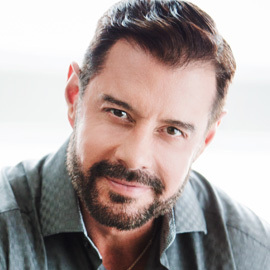 Maurilio. I am from “Family UMC Brazilian Ministry in Boston area. I am a communication leader. wel we need your help build a better way that we can better communicate out the church by web and media..